G’day foodies! It’s really great to be back on the blog again. Although I did not feel it was that long, 3 months have passed since our last communication. What can happen within 3 months? Heaps! Within this period, as many of you may have already known, I moved house from our beautiful city to Marion. As a brand new house, I did not do much on the house but did plenty of stuffs on decoration etc. Also within this 3 months, Adelaidefoodies.com is archived by the National Library of Australia and State Library of South Australia to be distributed across all their database for researchers and general public. Having said that, all the posts will now become a piece of history – whether we admit it or not. I also had some different plans about the blog which will gradually come into effect during the coming year of 2015. There is a new philosophical approach towards how I should do the blog and I am looking forward to bring the thinking into practice. 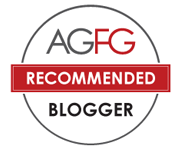 Anyway, Adelaidefoodies.com is now officially back on running and I should send out new posts at the same frequency as before. Let’s get back to the real topic today. You may feel the title is too wordy but this is what happened a couple of weeks back. Two of my favourite ingredients met each other and made really good relationship with each other. The process is extremely easy and it makes a fantastic quick dinner for all ages in the home. 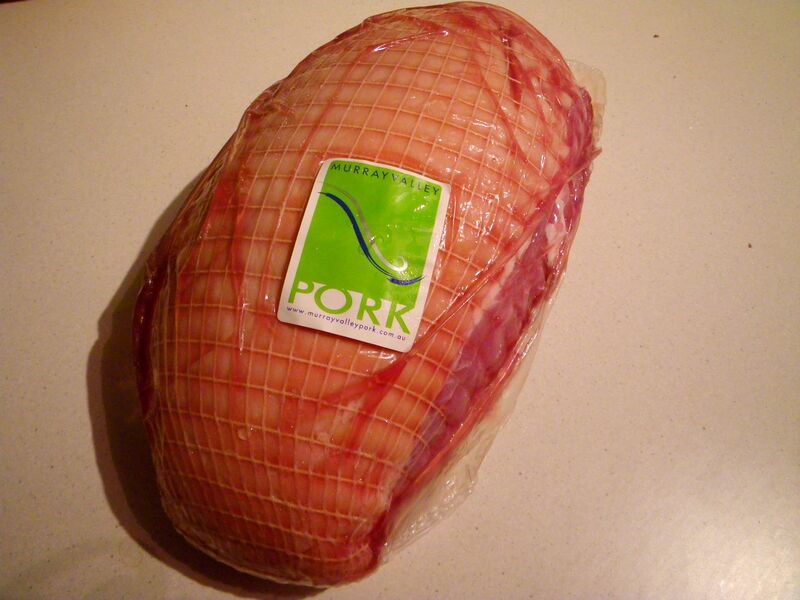 I’ve written many times about the good taste and succulent flavour of Murray Valley pork . The brand is indeed our favorite among many pork brands in the country. 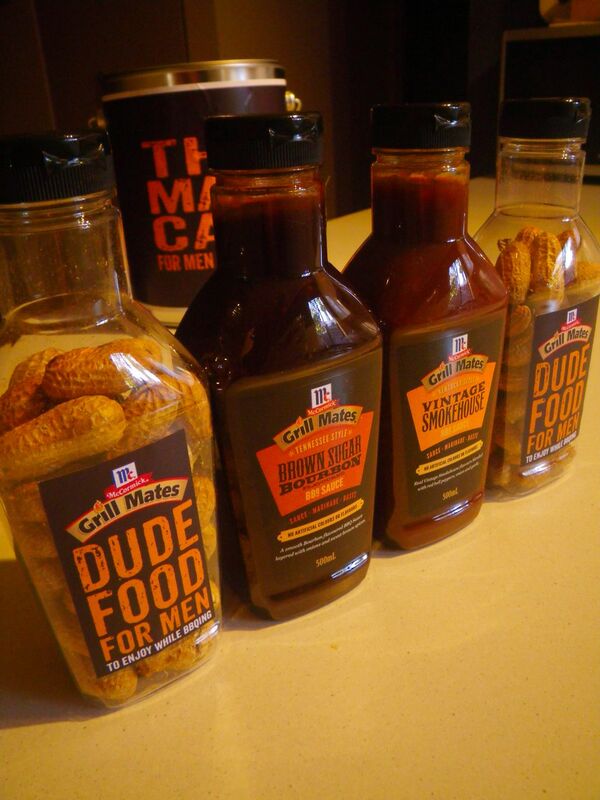 McCormick, one of my facvourite producer of sauces and spices recently launched a two BBQ sauces that can change your view towards any BBQ sauce in the market. The two sauces shown below did not only taste good but also showed many complexity on palate while tasting them plain. They can be used as the sauce as it is or you can use my method below to use them for basting the pork. The strong yet concentrated flavours can definitely make you dish taste better. 1. Unwrap the pork loin. 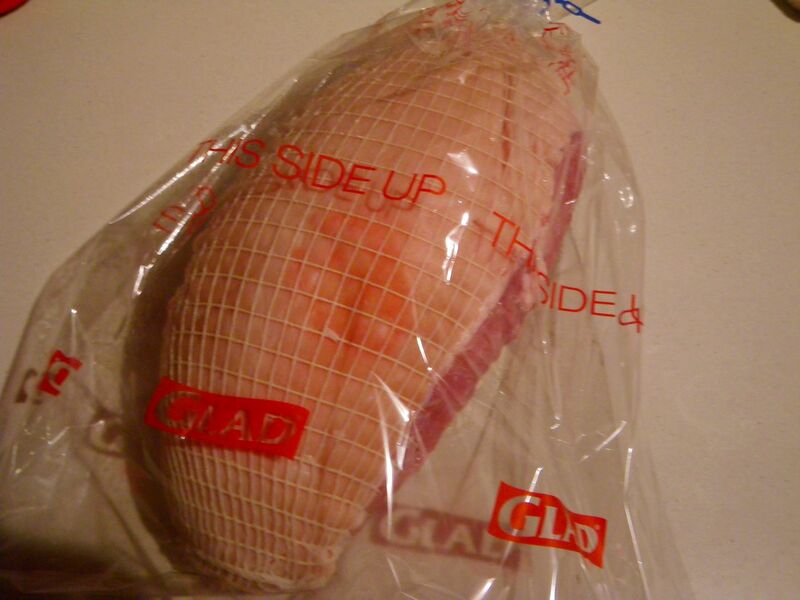 Place it in an oven bag and cook at 80 oC for 4 hours and 100 oC for another 4 hours. 2. After cooking, the pork skin should look dry. Now open the bag and turn the pork up-side-down. Roast at 180 oC until the skin becomes semi crackled. 3. During the final cooking time, mix the bbq sauce with 500 g of water and brush onto the meat occasionally. 4. 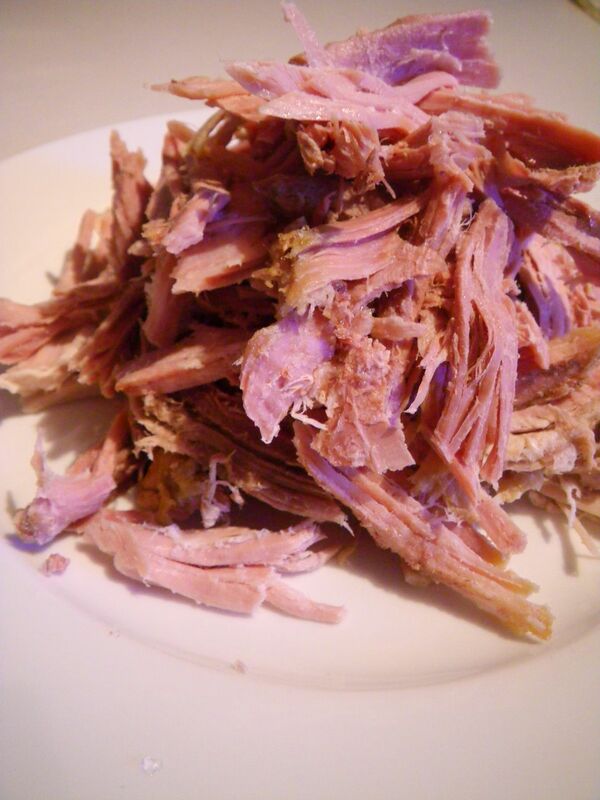 When the pork is cooked, leave it in the hot oven for a further 20 minutes. 6. Pull the pork apart while it’s hot. The pork is ready to be tasted now. If you have a taste of the pork at this stage, you can probably figure out that the meat is somehow seasoned and the pork pieces are worth the long waiting and cooking time. The pork was so succulent and flavoursome and can definitely please the little and/or the fussy ones. So yum! Now the pork is ready, let’s get to the pizza and the wrap. The pizza dough can be made the same way as my previous post. 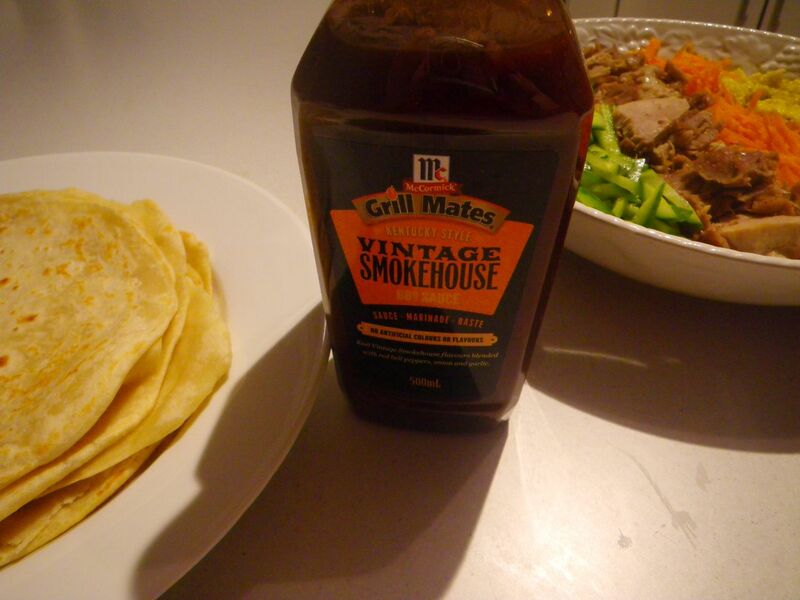 The only different is that instead of brushing pizza sauce, the vintage smoky BBQ sauce was applied. 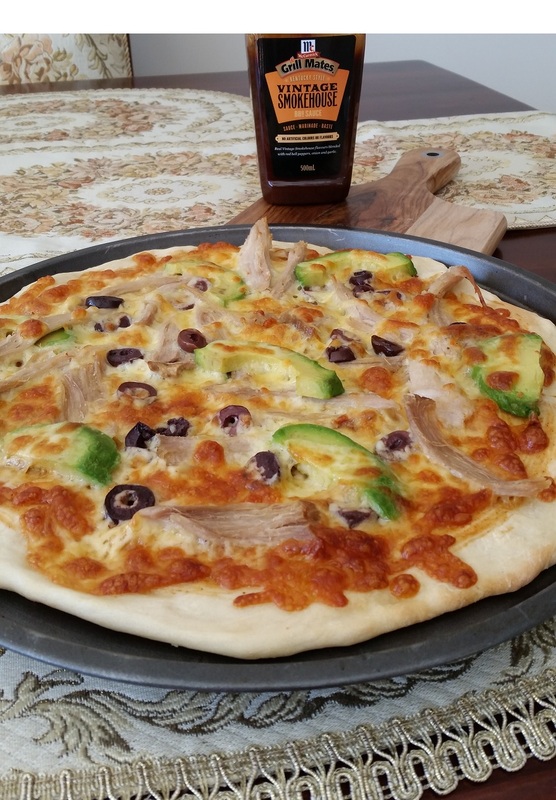 The pork, avocado and the olive can be placed on the pizza according to the steps in the other post. Here you go, my lovely Smoky BBQ Murray Valley pulled pork pizza! 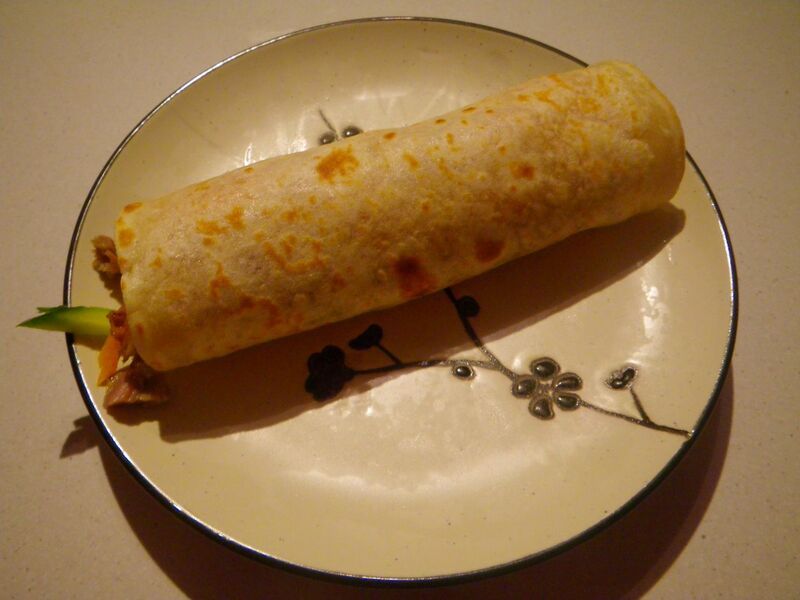 The dough for the wrap was done using the recipe specified in a previous post. What I used different was the filling. Once the dough was ready and the bread was made, I brushed the bread with a layer of the McCormick Vintage Smoky BBQ Sauce before placing the following items in the center to make a wrap. It is worth to note that the egg was beaten until fully mixed and was seasoned with salt and pepper. It was then poured onto a non-stick pan and was sliced after cooking. The cucumber and the carrot were also sliced. This wrap has a very high oriental influence. 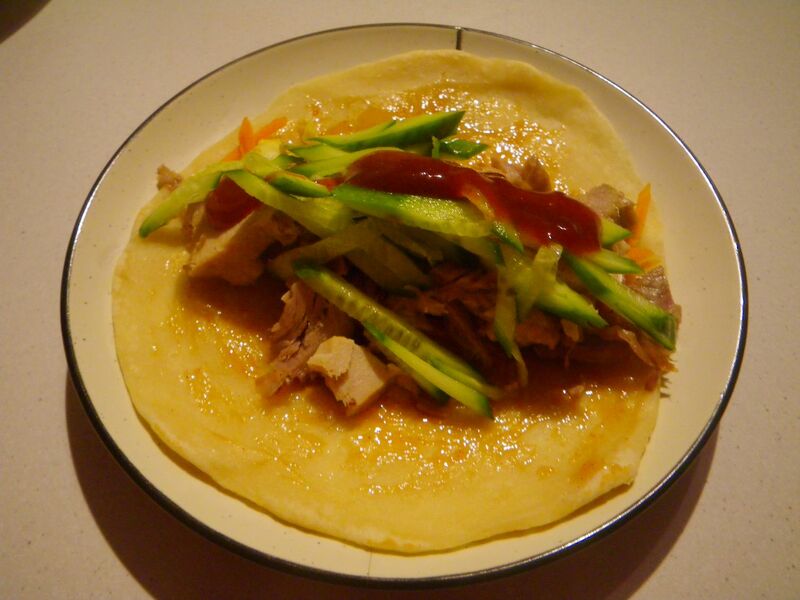 The cucumber provided the dish with a refreshing taste which certainly reduced the slight oiliness from the pork. The flavour of the pork was fully enhanced with the addition of the BBQ sauce and with the extra softness from the bread, it just made the dish ringing the bell. 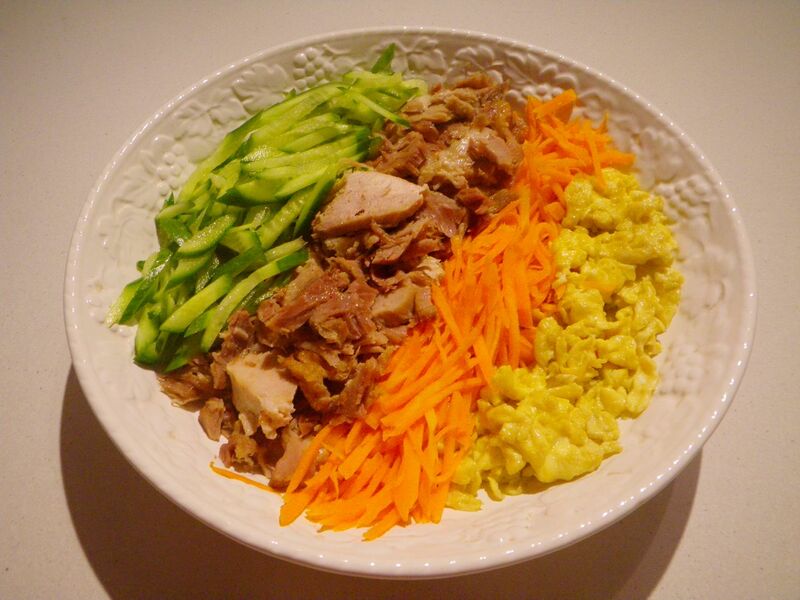 It’s also a great dish for people who don’t really like vegetables – all ingredients are well combined. If you are interested in obtaining the pork and the sauce used in this post, why not check the following facebook pages out. Next coming up on Adelaidefoodies is our dinning experience at Adelaide’s most fascinating Thai restaurant – Golden Boys. Stay tuned! G’day! Glad to see you back to blogging Xin…you were missed! Great recipe! Yummo! My mouth is watering. Thanks for the recipe.